One of the many political hurdles that cannabis researchers face is the supply chain – for decades the National Institute on Drug Abuse (NIDA) has been the sole producer of “research grade” cannabis. Most cannabis supplied by the U.S. government has less than 10% THC and it may have been stored for more than a yearr – which makes it very different from what is sold in most dispensaries. 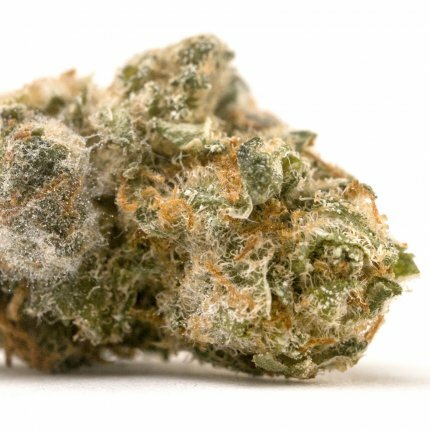 This low quality cannabis is more likely to give negative results, accounting for one of many factors that stymies research on the medical benefits of cannabis. A new paper from Italian scientists looks at how cannabis degrades in different storage conditions. They fit the rate of THC’s conversion to cannabinol (CBN) with a simple mathematical model (called first order kinetics). The model for CBD degradation was more complicated. Measuring THC and CBN levels allows the initial THC concentration and storage time to be predicted with the equations in the paper. Only freezing cannabis at -20 °C, not simple refrigeration, prevented significant breakdown over 4 years. Sadly, the authors hope that their model can facilitate the enforcement of drug laws. Racist drug laws create a large fraction of the U.S.’s population of 2.3 million prisoners. Drug charges account for at least 400,000 of these inmates, a quarter of whom have not even been convicted, and over a million arrests.